What is that unusual noise that is heard on the Trade Fairs of both capitals? A squeak of bend wood, melodious sound of bowstring, a whistle of flying bows… No, that is not the exchange of fire with the enemy, that is customers trying out newly arrived goods. Warriors' Fair of Wonders has started in the World of Faeo! IMPORTANT! Bows and amulets are not on sale this time. Valiant warriors! Mages of Faeo, while closely studying the phenomenon of sporadic storms in different parts of the world, found out that a similar storm is about to break out in the Crystalline Caves! Additionally, the changes that the storm will introduce into the usual rules of this battlefield have been revealed! So you now have time to pepare. You will also have double valor and no-break during the weekend in Crystalline Caves! And for the battles to be even more fascinating, the sale of valuable items has began in the Premium Shop. It will last until 12:00, April 22. Will you have the courage to enter the vaults of the Crystalline Caves during the Magical Storm when the time comes? From all over the world, merchants have arrived at the City Fair Grounds, offering unusual items to the residents of Faeo. Only at the Weaponsmithy you can find the unique artifacts and items, brought from the distant and mysterious Otherworld. You can buy goods from the other world for golden coins and if you don't need them - return them at the same day: the merchants will buy back the moulds for 0,75 golden coins. 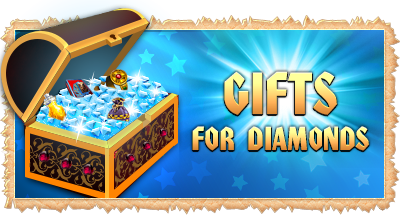 Moreover, you can always buy magic moulds for diamonds at the Premium Shop for half the price! However, keep in mind: if you want to return the unused goods to the merchants, the payment for them will be in golden coins! From time to time the people of Faeo witness a unique and fairy occasion of Star Shower. The night sky illuminated only by the starlight is pierced by fiery meteors, leaving a sparkling trail. You just can't miss it! During this time the citizens and villagers know no sleep and rest - they go out in the streets having pinned Asters flowers that shine in dark to their lapels they enjoy the spectacular show. It is the time of Star Showers in Faeo! Warriors! Replenish your account with 100 or more diamonds and receive Spark of the Heavenly Fires as a reward that many Ogriy and Khair inhabitants dream of! The offer will last from April 16th till April 18th. Use this profitable opportunity to become stronger! It's time we announce the winners of the Anniversary Lottery that was held for IT Territory 15th birthday! During all these days the valiant warriors of Ogriy and Khair took part in the celebrations and some of them had accumulated a whole heap of lottery tickets. Let's see if perseverance will be the key to reward, or just the will of chance! We congratulate the lucky players! 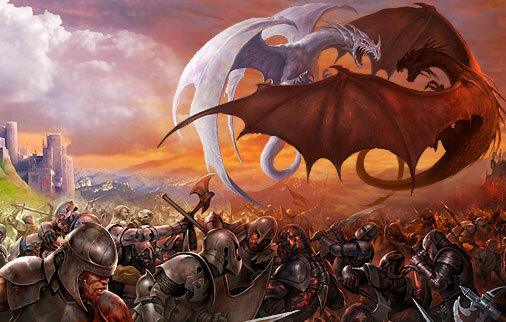 "Legend: Legacy of the Dragons"
© 2006-2019, Powered by My.Com B.V.